If internet marketers and blogger are guilty of one thing, it’s sensationalism. The internet has created an environment where every headline and title is talking about the “most ______ or the _______est” on any given subject, no matter banal the piece really is (e.g. How to Make the Greatest, Most Epic Grilled Cheese Sandwich Ever). This seems to have happened in mass during the past few weeks leading up to Google’s mobile algorithm launch. What was dubbed as “Mobilegeddon” by the most sensationalist of bloggers has come to past and the results so far have been underwhelming. This article will look at some of this early data to see if the so-called Mobilegeddon was more hype than horror. 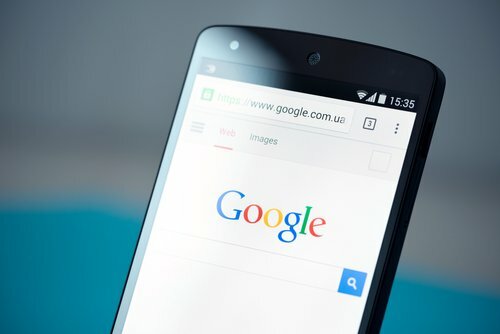 As a quick review, Google recently implemented an update to it’s mobile search that would add a mobile-friendly label to sites that meet certain criteria and give such sites a boost in search. Since many, if not most, sites have pages that aren’t optimized for mobile, some within the SEO industry predicted devastating consequences for sites that don’t make the grade. The algorithm began rolling out on April 21st, and by the end of last week, Google said the rollout was complete (though it may take time for all the reindexing to finish). Though it’s only been about two weeks, that has been enough time to see changes in search rankings. So far, the general consensus among SEO experts is that they experienced only small fluctuations if any as a result of the update. To be sure, there has certainly been an effect on search engine rankings. A report from SEOClarity found that the number of search engine results that differed on desktop and mobile increased by 5 percent after the update. This may seem like a significant amount of change, but it’s important to remember that the difference may be by just a few positions. To illustrate a site that before the update was ranked second on desktop and mobile search, may rank second on desktop and sixth in mobile. This is a change, but it may not have a large effect on traffic. In fact, research from Moz suggests that whatever effect the mobile-friendliness algorithm change was going to have on a site, it should be felt already. When the update launched on April 21st, the biggest amount of activity for mobile search changes occurred on April 22nd. And even that was a relatively small bump. There’s a chance for some more activity in the future, as the reindexing finishes, but it’s likely that we’ve see the lion’s share of mobile-friendliness aftermath. There is some data to suggest that some businesses may have been hurt by the algorithm change. In the UK, an examination of the Barclay’s as well as the British Airlines websites, showed that pages that weren’t mobile optimized may have drop in the rankings. On the Barclay’s home page, which was mobile friendly by Google’s standards, the ranking didn’t change. However, on some of the interior pages that weren’t optimized, and some of the rankings went down for certain keywords. However, with the exception of one keyword phrase, the change wasn’t very dramatic. On the other hand, British Airways saw their rankings on certain keywords plummet after the algorithm update. The huge difference in how much the sites, though both had some pages that weren’t mobile friendly, were affected suggests there are other factors at play. Still, it is some evidence of a possible negative effect from the mobile update. Regardless of the overall effect on mobile search rankings, the efforts businesses made into making their sites more mobile friendly weren’t wasted. Creating a more mobile friendly site helps consumers trying to access pages from smartphones and tablets. And helping consumers is the ultimate goal of a business website, not pleasing Google. As long as a site continues to useful produce content on a website that’s easy for consumers to use, then Google’s algorithms will look upon the site favorably. For more news about ways Google can help a website increase traffic, read this article about Google’s free content suggestion tool for certain publishers.